When you are younger, working, have a spouse, and have young children who depend on your income, life insurance is essential. A life insurance policy is designed to provide your spouse and your dependents with the money they need in the event that something unexpected happens to you and they lose your income. As you get older, your life changes and having a life insurance policy may not make much sense anymore. For many, it may make more sense to drop the life insurance policy in favor of a much more affordable option. One of the biggest reasons for having a life insurance policy is to provide financial protection for your dependents. These dependents are often your young children, who are not able to take care of themselves. Your spouse may also depend upon your income. If something happens to you, and your family loses your income, the event not only leaves them struggling emotionally but financially as well. If your children are grown and financially independent, you no longer have to worry about providing this type of protection for them. In your younger years, you may have purchased a home. In order to purchase a home, you most likely took out a mortgage. Your home is most likely one of your biggest investments. With a life insurance policy, you can rest easy knowing that payments can still be made for a while, even without your income. Over the years, the amount you owe on your home becomes less. 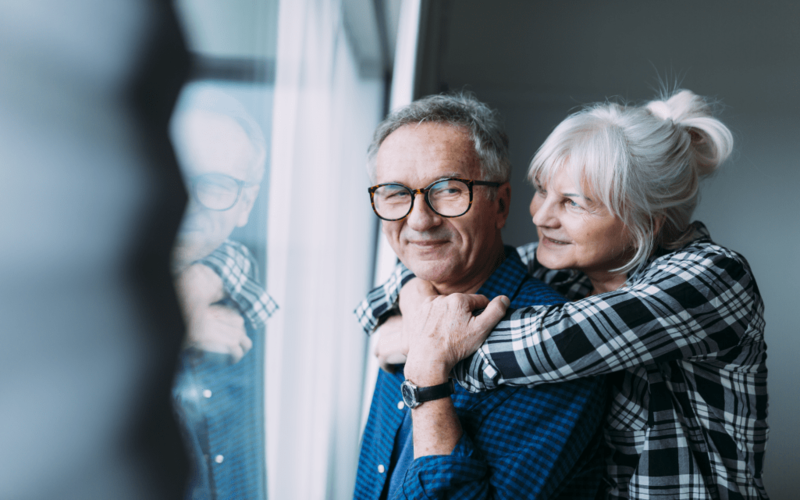 In fact, by the time you reach your senior years, you may own your home outright, and are no longer making payments on it. Life insurance policies are designed to replace lost income in the event that something happens to you. Typically, your life insurance policy should be ten times the amount of your annual income. For instance, if you earn $50,000 a year, you should have a life insurance policy for $500,000. Of course, the exact amount that you need depends on your specific circumstances. When you retire, you get social security benefits in addition to having the money you set aside for your retirement years. After you retire, there is no income to replace. Life insurance policies require that you make monthly payments. The exact amount you pay depends on the type of policy you have taken out. While life insurance premiums have gone down in recent years, it can still be expensive, especially if you are paying for protections that you don’t necessarily need anymore. By dropping your life insurance, you can save money each month and set it aside for other things. While one of the reasons behind a life insurance policy is to help your family pay for your funeral in the event of your death, these types of policies don’t always make sense for senior citizens. Rather than taking out a life insurance policy, there is a more affordable option. Burial insurance is designed specifically to ensure that your family can cover the cost of your funeral, including your services, your burial or cremation, and even any debts that you might leave behind. With burial insurance, you can rest easy knowing that your family is financially protected while they are dealing with their grief. When your children are self-sufficient, your debts are minimal, and you are no longer working, having life insurance just might not make much sense anymore. It is still important that you have something to protect your family. With burial insurance, you are provided with a much more affordable option, helping you to avoid paying for things you no longer need. That way, your family is protected and you are provided with peace of mind.